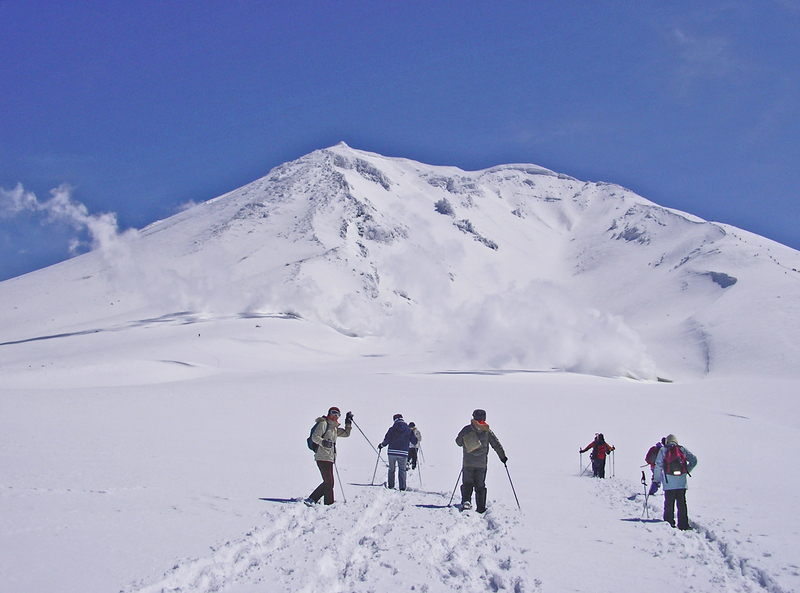 Checking in at 7,516 feet, Mount Asahidake is the tallest mountain in Hokkaido. 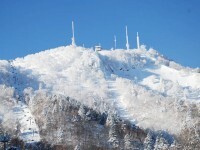 It's also the highest point on the Daisetsuzan Mountain Range, known as a holy site to northern Japan's indigenous Ainu people, who call the area Kamui-mintara, or "the garden where gods play." According to the metaphysical Chinese art of Feng Shui, Asahidake is also an ancestral mountain pouring out the energy of the earth. Some people regard the entire mountain, from top to bottom, as a spiritual power spot of great magnitude. 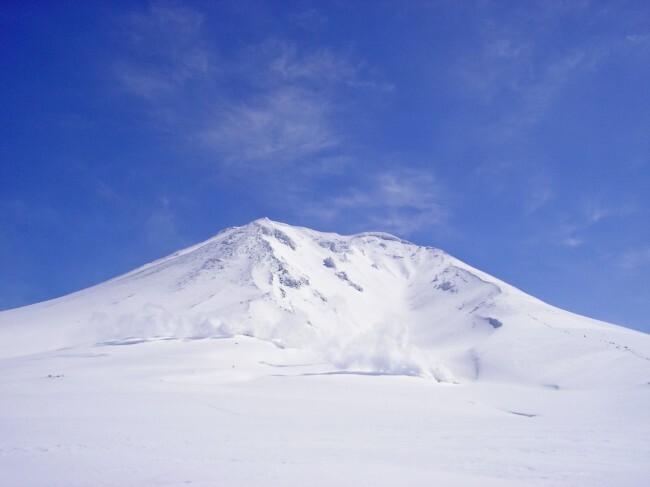 Asahidake's peak stays white even when the rest of Hokkaido erupts with cherry blossoms during the national Golden Week holiday in May. 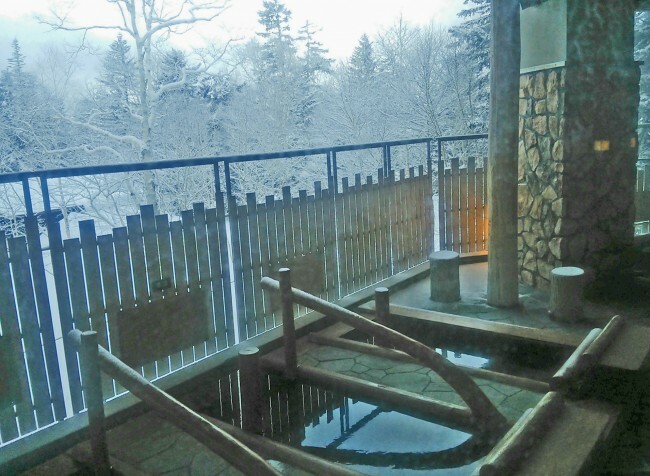 Visitors can enjoy spring skiing and snow trekking while taking in the mountain's potent energies, then immerse themselves in an awe-inspiring snowscapes while soaking in an outdoor hot spring in the village of Asahidake Onsen. Asahidake is, put simply, a luxurious getaway to some of the last snow in Japan. 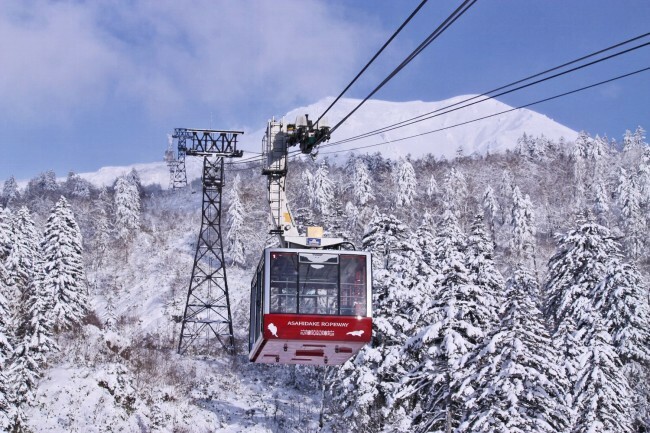 Ten minutes on the Asahidake Ropeway brings skiers and snowboarders to an altitude of 5,250 feet. Stepping out of the station at the top reveals a winter wonderland even in the middle of spring. 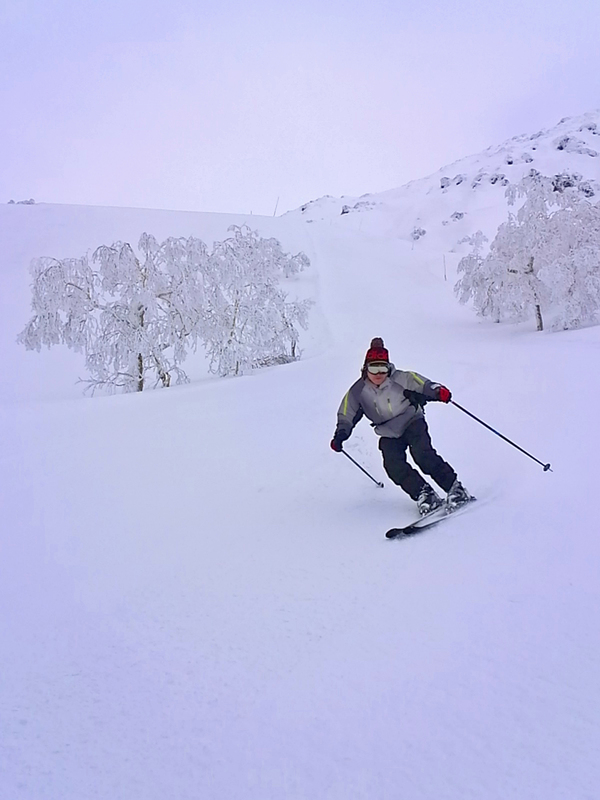 What makes skiing here truly phenomenal is the quality of the snow. 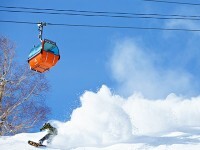 You can still find coveted Hokkaido powder here, even late in the season. Both beginner and advanced powder junkies can revel in a premier-quality experience. This isn't a sprawling resort, however. There are only two major routes available from the top of the ropeway, connected by a single intermediary course. Combinations of course segments simply named A, B, C and D offer a total of three different - and lengthy - ways to get to the bottom of the mountain. The 2.4-mile route linking the A and C courses is perfect for advanced skiers, offering a maximum incline of 30 degrees. There's also a challenging 1.7-mile trail that follows the B and D courses, and a more beginner-friendly 2.2-mile route that runs along the B and C courses, its maximum incline a gentle 23 degrees. 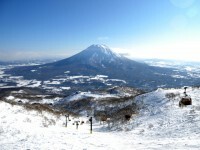 The ski area is located within a national park, which brings a certain number of restrictions. The area is not fully landscaped as a resort, so guests are required to travel across flat ground and uphill in some areas, and through tight trees in others. 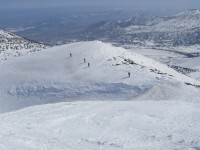 Further, for safety reasons, the area maintains a strict prohibition on skiing outside of designated areas. 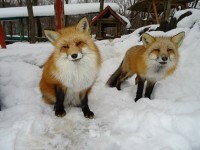 So long as these rules are observed, guests of all abilities can enjoy a safe and exhilarating snow experience. More compact snow can be found in the flatter areas, and with easy detours all around, even non-experts can get down without excessive difficulty. And from a Feng Shui standpoint, it's worth noting that the ski runs coincide with the course of energy flow. 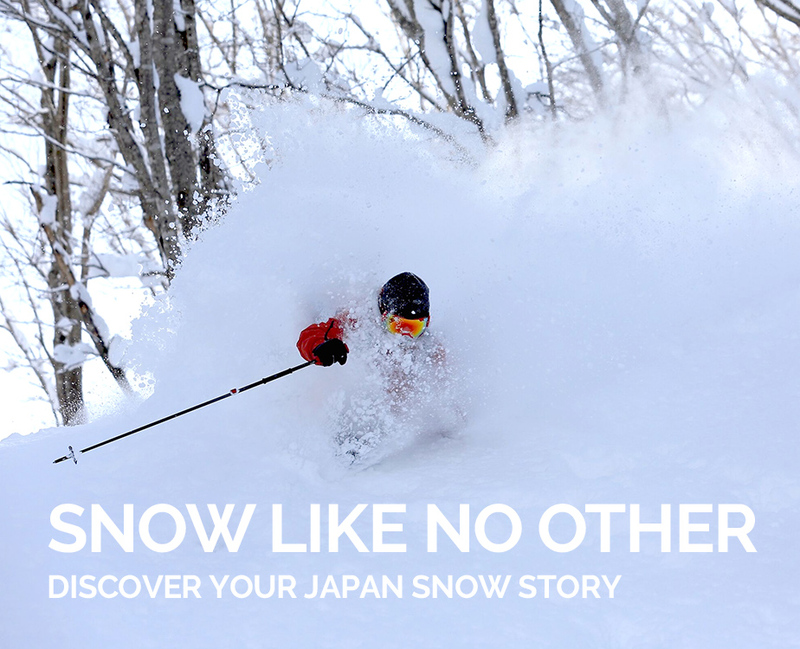 With the combination of premium Hokkaido powder, a pristine and unadulterated landscape, and positive esoteric energy, what more could you need? Season starts: Late December to early May. In Feng Shui, natural energy - or life force - is defined as qi (sometimes written chi). The Zangshu, or Book of Burial, is one of the earliest extant Feng Shui texts. Here it’s written, "Qi rides the wind and scatters, but is retained when encountering water." In order to absorb the energy retained in the water, one must physically drink it or soak in it. For this effect, visitors should seek out an onsen, or hot spring - which can be enjoyed along with outstanding overnight accommodation at La Vista Daisetsuzan. 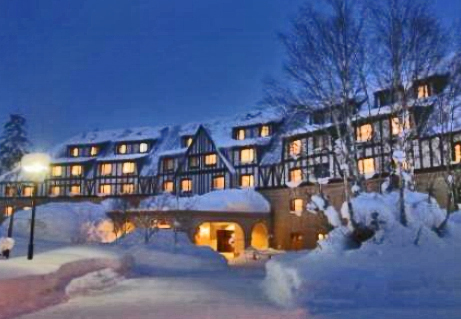 Praised in the Michelin Guide Hokkaido 2012 - Michelin's first Hokkaido guide - La Vista Daisetsuzan is reminiscent of a chalet in the Swiss Alps. The hotel goes beyond lodging, complete with delightful French cuisine prepared from local ingredients. The hot spring is the hotel's true crown jewel. Visitors to the expansive Momuni-no-Yu bath can take in a picturesque winterscape via floor-to-ceiling windows in the bath's interior Hinoki area, or soak outside in baths constructed out of stones. All the water is naturally occurring hot spring water, full of energy from the mountain. Be sure not to miss out on the private baths. These can be reserved free of charge, and are perfect for families or individuals who want to savor the ultimate luxury of a natural hot spring all by themselves. The hot baths here are the perfect après ski activity, soothing the body from inside out with the combined power of waterborne minerals and positive Feng Shui energy.